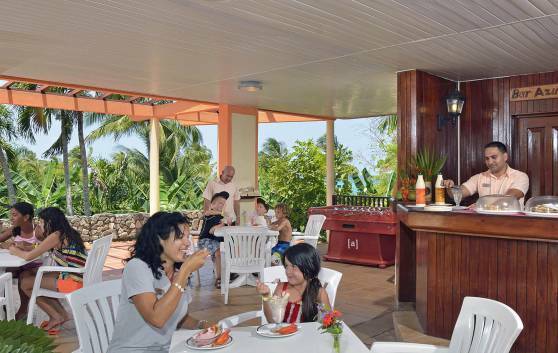 Located next to the swimming pool, the Carabela is a Cuban restaurant during the evenings. Harmoniously combined with the naturalistic ambience of the hotel, a perfect mixture of rusticity and sophistication. Large open room with thatched roof, typical of the Cuban countryside. This restaurant has a capacity for more than three times the crew that accompanied Columbus on his voyage to the new world. Breakfast, lunch and dinner will satisfy even the heartiest appetite with a gastronomic offer worthy of a king. No wonder Christopher Columbus exclaimed that this was the most beautiful land ever beheld by human eyes! 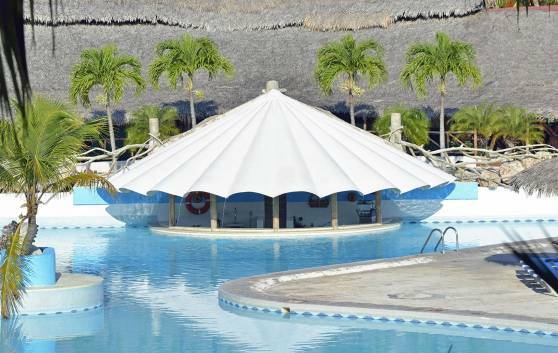 A favorite among bathers and nautical sports worshipers, in other words, among those who do not wish to leave marvelous Esmeralda beach for an instant. 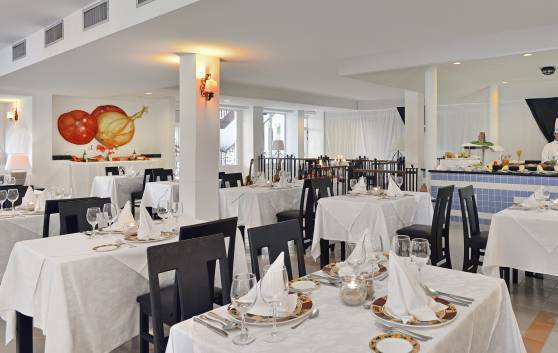 Located directly on the sand and only a few steps away from the sea, the restaurant also offers a varied menu of drinks and liqueurs. 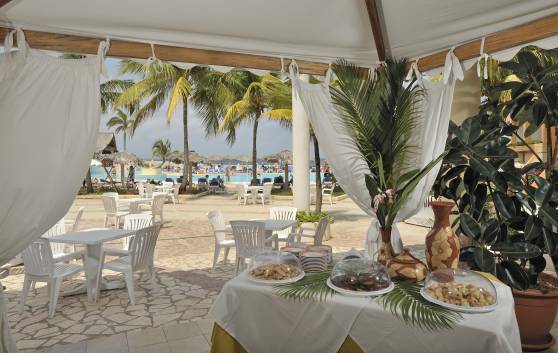 Guests can enjoy a delicious lunch or romantic dinner before moving on to music and dance at the disco. 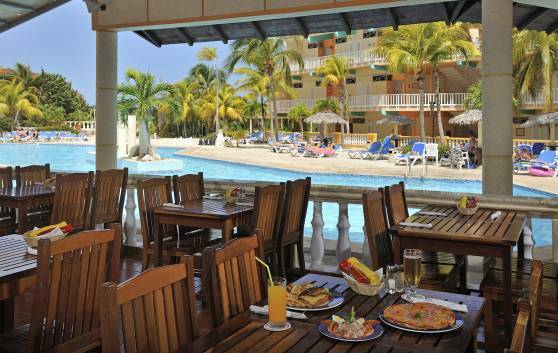 La Pinta restaurant is situated in a marvellous tropical setting directly on the beach. Clients can savor international specialties during lunch and delicious Mediterranean food for dinner. 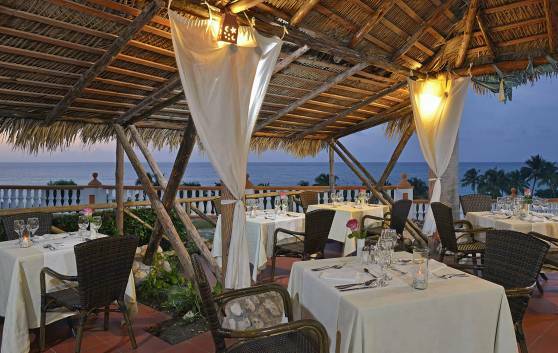 Once a week, La Pinta restaurant hosts its special Romantic Evening. Currently being refurbished. 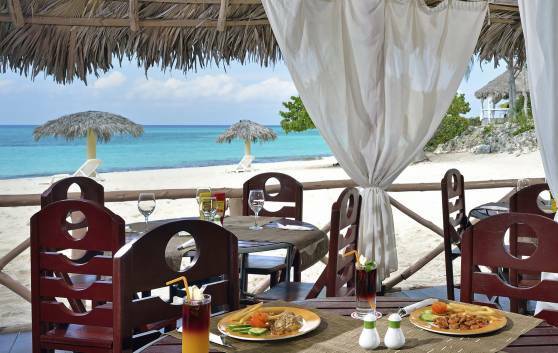 Food and drink will be served at La Niña beach restaurant in the meantime. 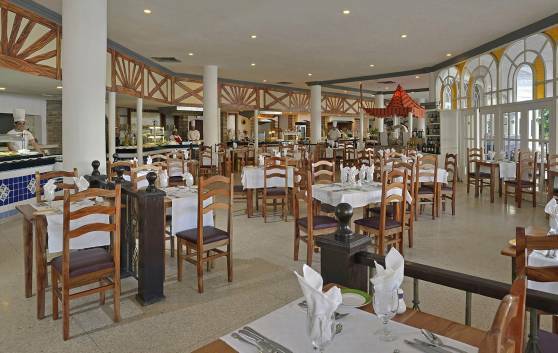 Santa Maria Restaurant is located in the lobby area of the Luna section. 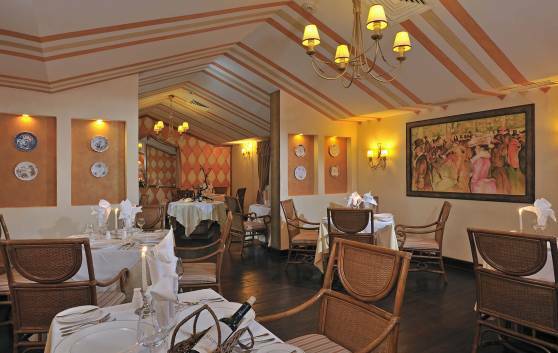 In a warmly welcoming atmosphere, you will find a selection of typical Italian dishes. Formal dress required. 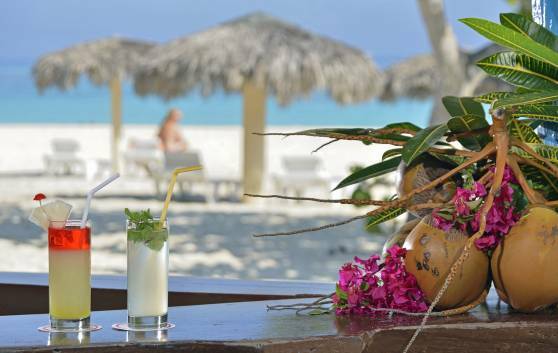 Enjoy our delicious cocktails based on fresh fruit and herbs as you relax by the sea. A refreshing option for enjoying the Cuban sunshine to the full. 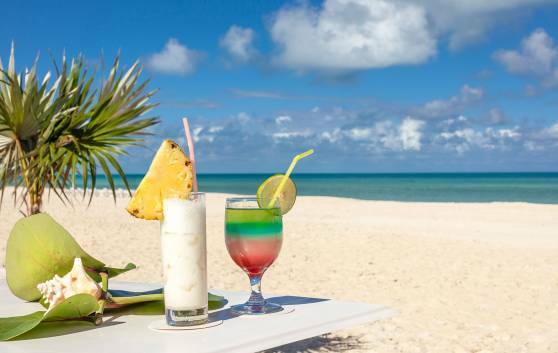 Enjoy the brightness of our sun and a beautiful beach in the company of delicious, refreshing cocktails made with fresh fruit and herbs. Currently being refurbished. 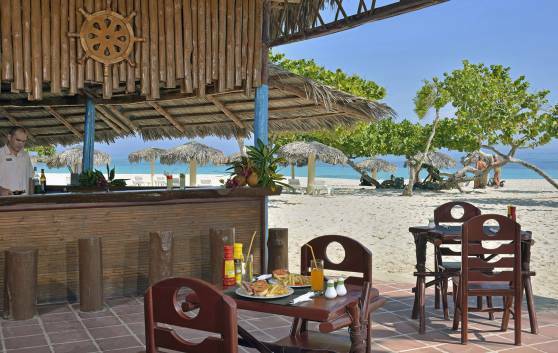 Food and drink will be served at La Niña Beach Bar in the meantime. 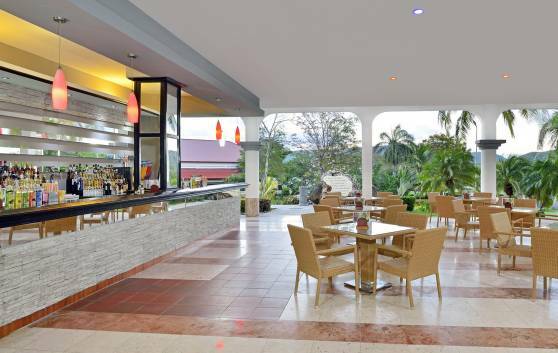 The El Dorado lobby bar offers a wide assortment of national and international beverages and liquors throughout the day. Easy to access! Guests can enjoy the wide variety of cocktails artfully mastered by our experienced barmen at La Nao bar, either while gazing at the sea or on their way to or from the pool. 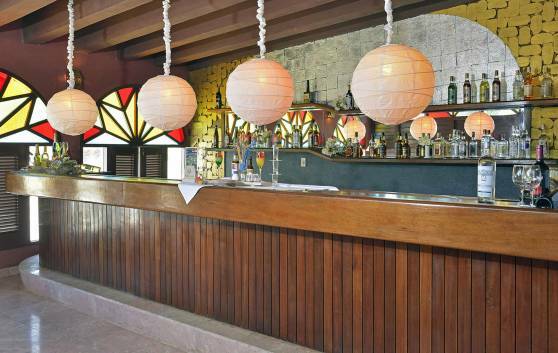 The 1492 bar offers clients a cozy atmosphere, wide assortment of national and international beverages and liquors. Coffee and tea service available from 17:00- 18:00. 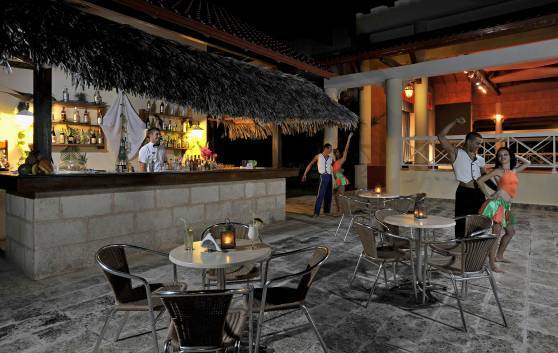 At night, our Disco Bar will entertain you as you enjoy our amazing cocktails, authentic Cuban rums and a wide range of drinks and spirits. A perfect combination to live the Cuban nights to the full. Experience all the joy and fun of our daytime entertainment options accompanied by exquisite cocktails and a wide range of drinks and spirits.